According to the works of Transparency International, Nepal is one of the most corrupted nations in the world. Moreover, far from getting better, the situation worsens at a dramatic pace whereas the Nepalese people collectively pay the price of their elite's greediness. As a poor country, its development is further undermined by massive embezzlement, and political stability nowadays seems out of reach. In this context, concrete action against institutionalized corruption cannot be delayed. Local NGO Anticorruption Movement Nepal (Forum for Independent Thinking) dedicates itself to raise public awareness, defend victims and prevent institutional drifts in order to defeat corruption at the country scale. Among other projects, Anticorruption Movement has decided to launch an original TV program on one of Nepal's national channels. Our ambition is to use a very popular mass medium so as to reach an unprecedentedly wide range of citizens and sensitize them to corruption-related issues. To that end, viewers will be provided with accessible information about the current state of corruption in Nepal and the South-East Asia region, as well as practical tools and advice to efficiently face up to corrupt behavior at their own level. Forum for Independent Thinking, Nepal is a non-governmental, and non-profit organization for the promotion of democracy and good governance founded in 2043 (1985) by a community of Nepalese intellectuals. As corruption became one of its main focuses, we decided, two years ago, to establish Anticorruption Movement Nepal as an autonomous branch of the Forum. Since then, we have been able to build partnerships with such prestigious governmental organizations as the CIAA (Nepalese Commission for the Investigation of Abuse of Authority). We currently have two cells in Kathmandu and the South-Western region, and plan to expand our activities within the country as Well as abroad in order to create a large-scale snowball effect on the struggle against corruption. 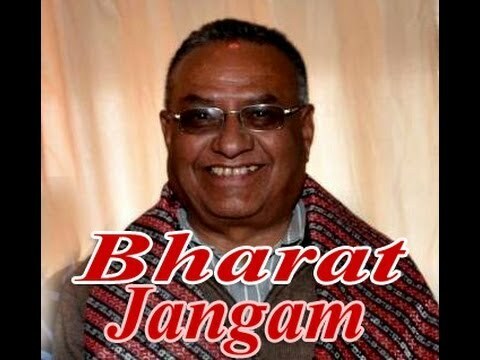 AMN Chairperson Bharat Jangam is an internationally-renowned lawyer, journalist and writer who have been committing himself to fight corruption and bad governance for more than three decades. Amid his most remarkable victories, one can mention the dismissal of MP life-long pensions (2000) – the same case is nowadays advocated in India – as well as life-long state facility provision to former high officials (2012) or the abolishment of the Election Area Development Funds (2001), a discretionary budget allocated to elected representatives who gave way to high scale embezzlement. • Training to fight corruption – youth training program – testimony collectionCampaign). Anticorruption Movement Nepal has been organizing the television programme. One of them is live television programme while other is recorded television programme. On live television programme the telephone calls is taken by our chairperson Mr. Bharat Jangam and he will listen to the callers about their problems related to corruption and he will find out the ways to solve them as much as he can. On the other hand for the recorded television programme the broadcasting material has collected from interaction programme among school students and then it is shown in television. The television programme focus on giving awareness to the people from school student to other people and their total participation on our programme. • Give accessible elements of information and comprehension about the current state of Corruption in Nepal to the general public. • Provide citizens with resistance tools against situations of public corruption they are Regularly confronted to, by a service of direct advice that can also be profitable to non-interacting viewers as most discussed cases are stereotypical. • Put the civil society back into the picture, and fight against the powerlessness feeling shared by most of the population when it comes to corruption, through a resolutely interactive and participative show that commits itself to give citizens a proper expression area on the topic. • Establish corruption as a major theme in informative and investigative mass media. • Stimulate acts of resistance against corruption at the individual level. • Increase public awareness about corruption in Nepal, and develop the civil societies Participation in the fight against corruption, in order to pressurize governmental forces into taking concrete measures. • Aware school children as well as other citizens of whole country and encourage for their active participation. • Listen the voice of people and help them solving their problems. Most of the people are unaware to the problem creating by corruption in our society. Although some were aware, they haven't got the proper place to speak about their problem. So our television programme is focused on listening voice of the people. In this programme they can speak about their problems and they can present their viewpoint also. All the people can actively participate on television programme.